Stock market analyst Rahul Mohinder is of the view that investors can buy State Bank of India Ltd stock with target of Rs 2510. According to analyst, the interested investors can buy the stock stop loss below Rs 2440. Today, the shares of the bank opened at Rs 2465 on the Bombay Stock Exchange (BSE). The share price has seen a 52-week high of Rs 2504 and a low of Rs 1654.80 on BSE. Current EPS & P/E ratio stood at 144.37 and 17.37 respectively. 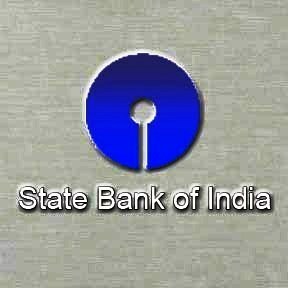 State Bank of India (SBI) will lift up its depository rates by August 2010. "We are not planning a hike in deposit rates immediately," a bank official said. With the intention to get to "unbanked masses" and assist them open accounts, provide loans and make investments via web-based kiosks, SBI joined hands with electronic services provider Oxigen. With minimal documentation, the affiliation eyes at reaching auto as well as homes loans against property and gold. SBI Chief General Manager (Delhi) Sunil Pant stated that the services will also assist them to make investment in subsisting retailers with web-enabled Oxigen being nominated as CSPs to execute banking operations. "The web-enabled retailers will have SBI Kiosk Banking Customer Service Centre, which will enable to do banking services for masses," he said.